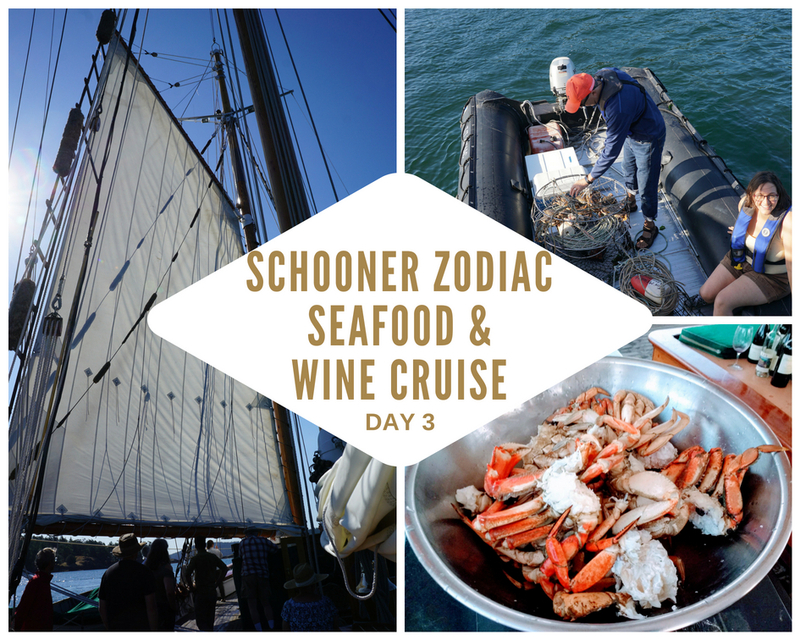 WJ Tested: A Full Day of Sailing, Scenery and Seafood in the San Juan Archipelago on Schooner Zodiac! 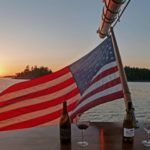 After another night sleeping under the stars on the deck of Schooner Zodiac at Stuart Island’s Reid Harbor, we were woken by the 7:00 AM breakfast bell. 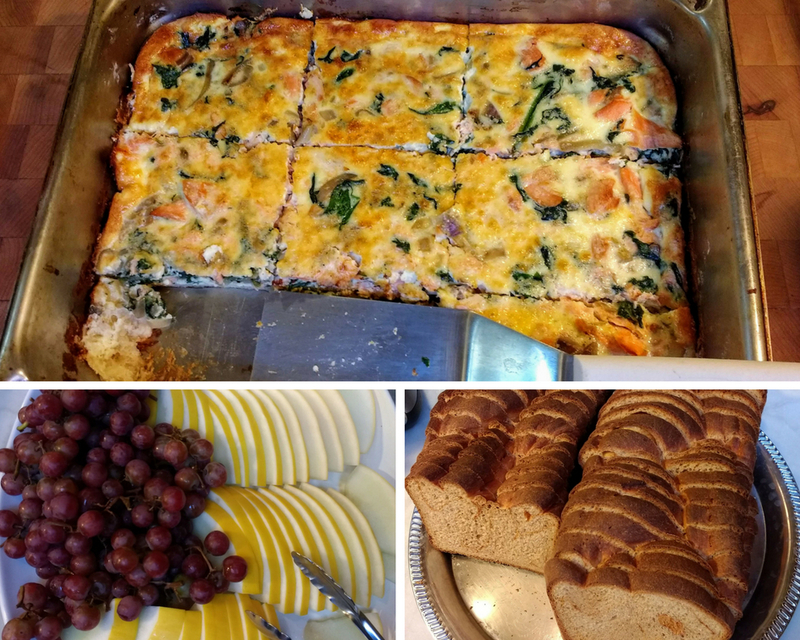 Freshly brewed coffee awaited, as did a salmon, shallots and spinach frittata, cayenne cheddar bread, and fresh fruit of honeydew melon and grapes. 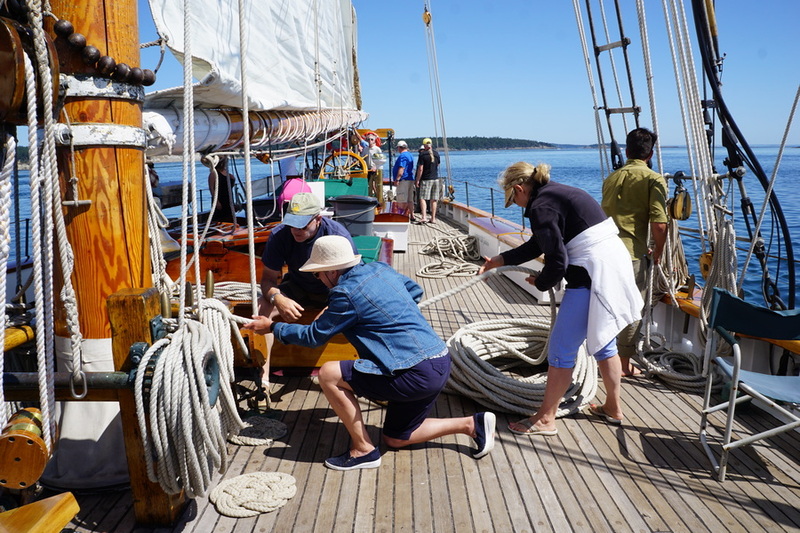 By 8:00 AM the crew and passengers wanting to participate in Zodiac’s morning routine of chores, were busy polishing the brass and preparing for departure. 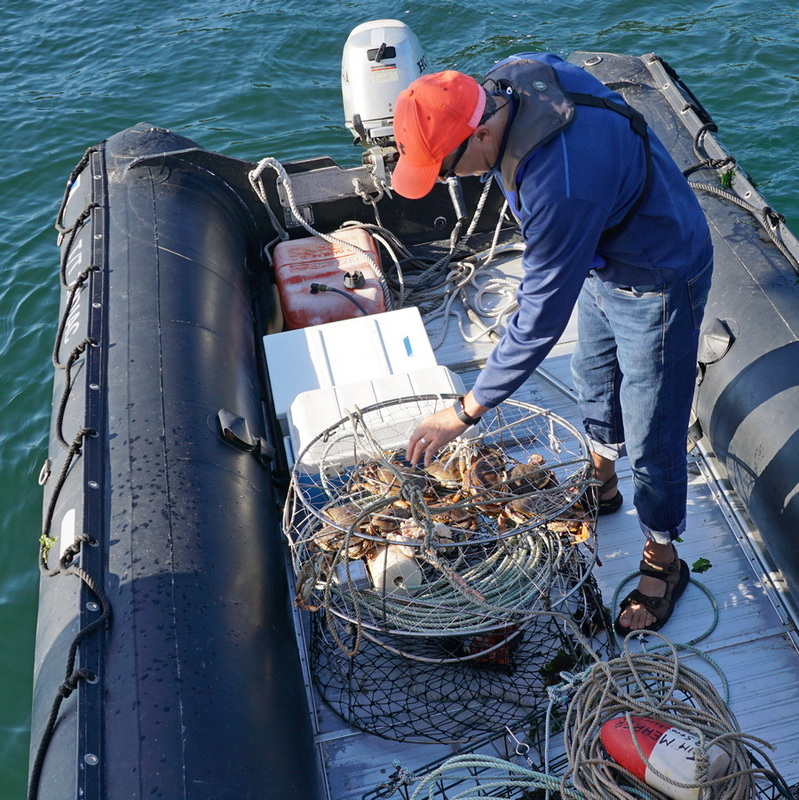 The crab pots that had been placed earlier were retrieved with a bounty of seven large – not bad for the first attempt. 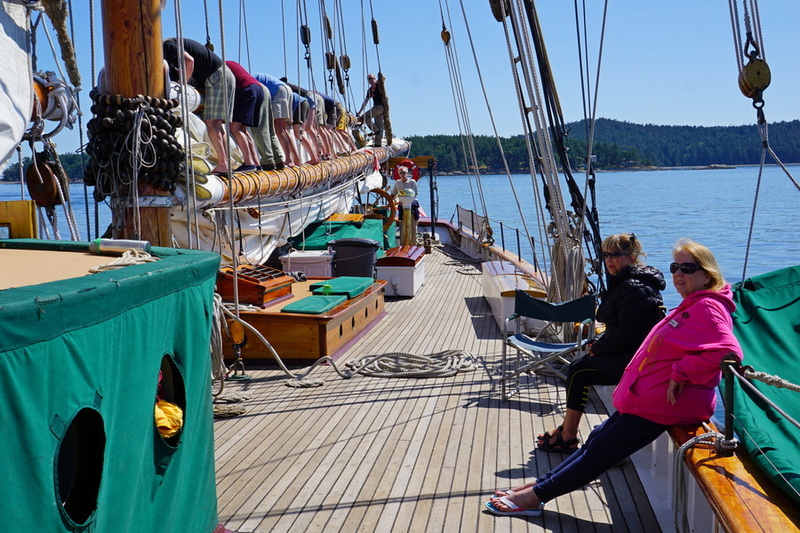 First Mate Henry asked passengers for vote on the day’s agenda… Sail a little and go to Friday Harbor? 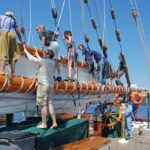 Or sail all day and stay on the Zodiac until disembarking the next afternoon? 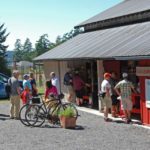 A vast majority of passengers voted to skip visiting Friday Harbor and just spend the day sailing through the San Juan Archipelago. 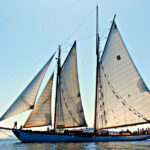 The sails were and anchor were raised for departure from Reid Bay. 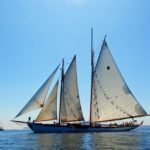 Only the main sail remained not raised while we motored against a strong current against. Six bald eagles playing and feeding were fantastic to watch as we left the area. 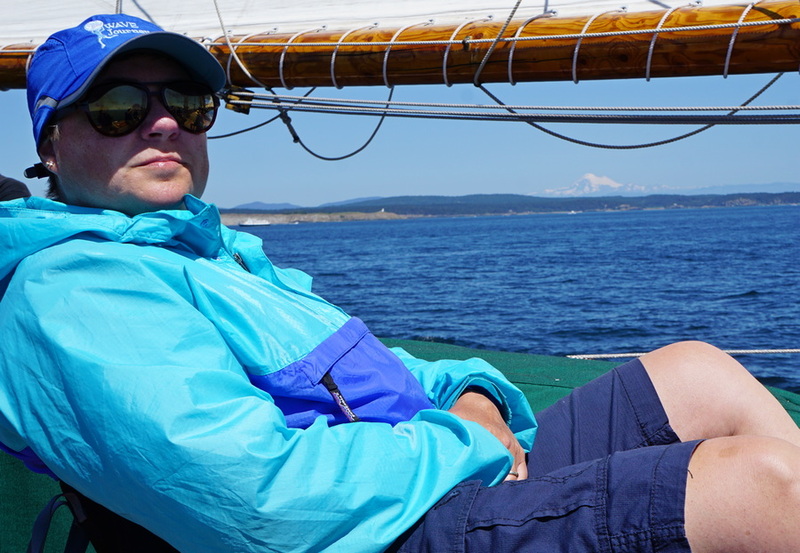 The morning was a mixed bag of mild winds and strong currents, and just after the mainsail was raised the wind completely died and we sat dead in the water of the Strait of Georgia off Henry Island and across from Sidney Island. 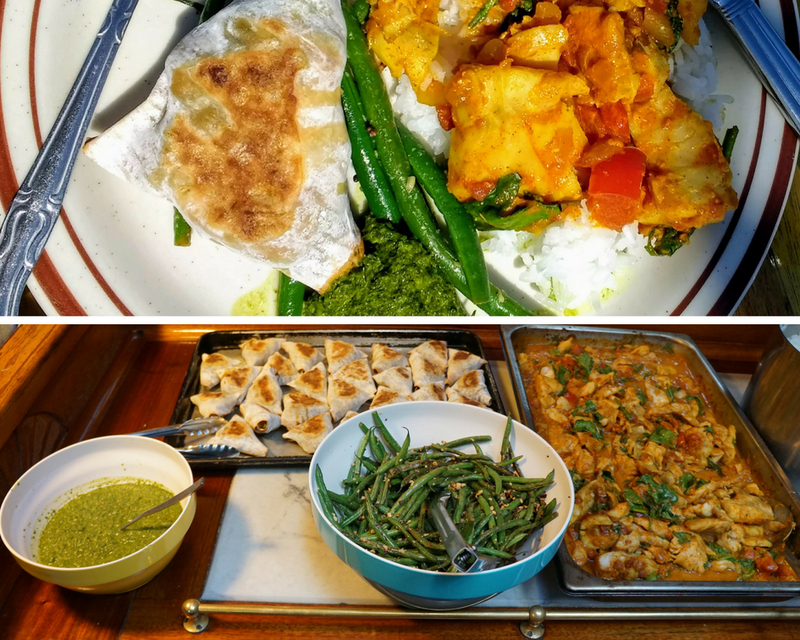 The noon lunch bell announced it was time to chow down on Goan fish curry with rice, green beans, and potato pea samosas with mint chutney. 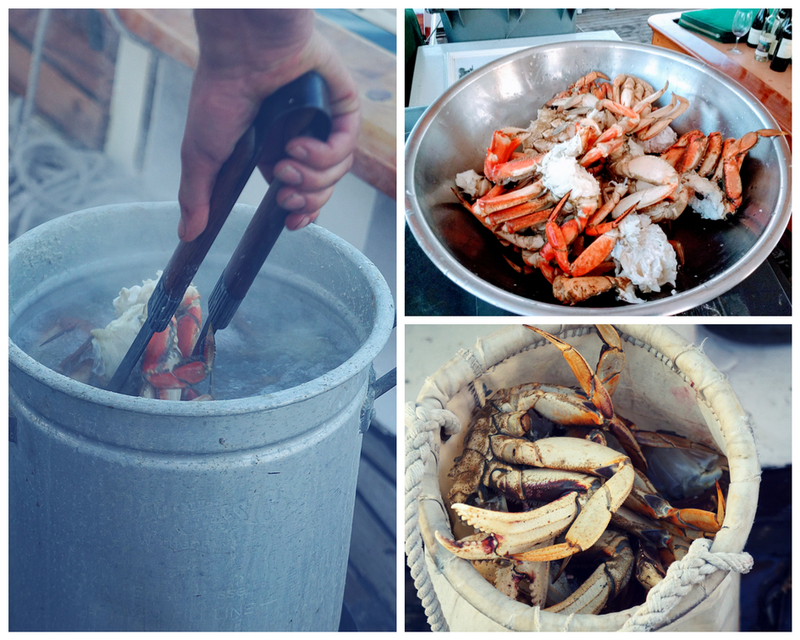 Once again, cook Caz had prepared another delicious seafood meal. Searching for critters! Orcas on the horizon. 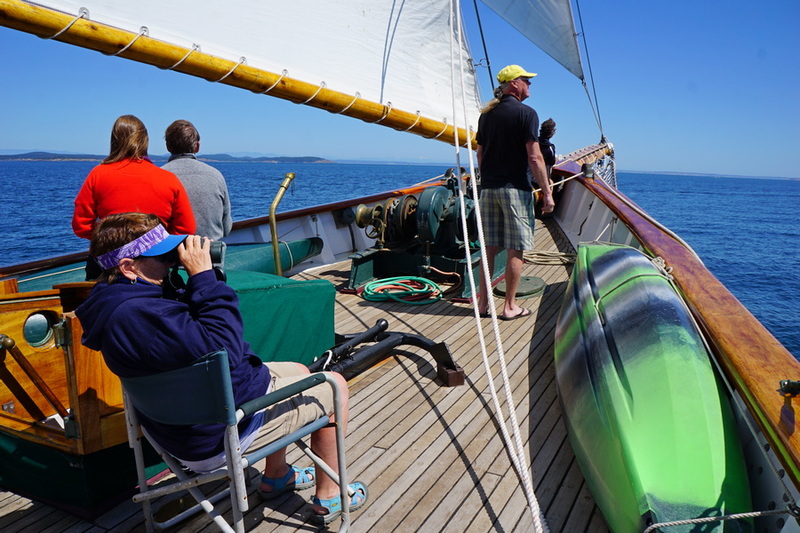 With very little wind for the remainder of the day, and strong currents to contend with, we under the motor to follow pods of orcas on the west side of San Juan Island and through the Strait of Juan de Fuca. What an absolute treat that was! 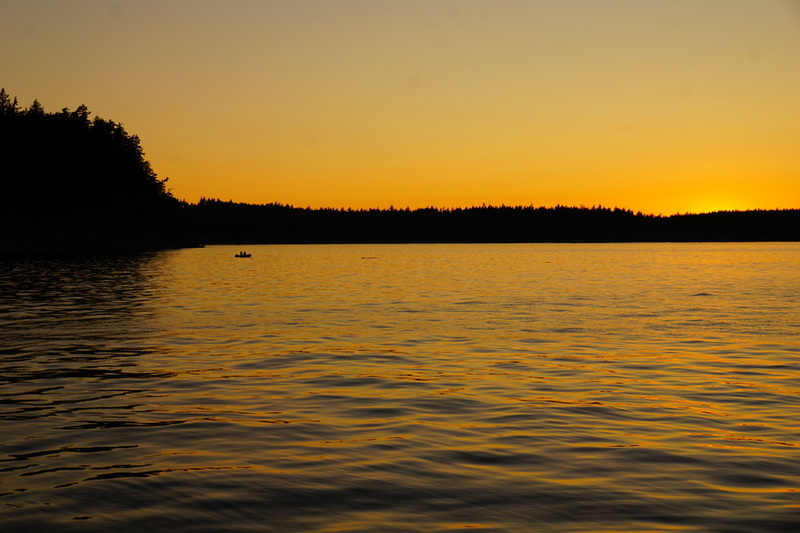 Our evening mooring was at Spencer Spit on the east side of Lopez Island. 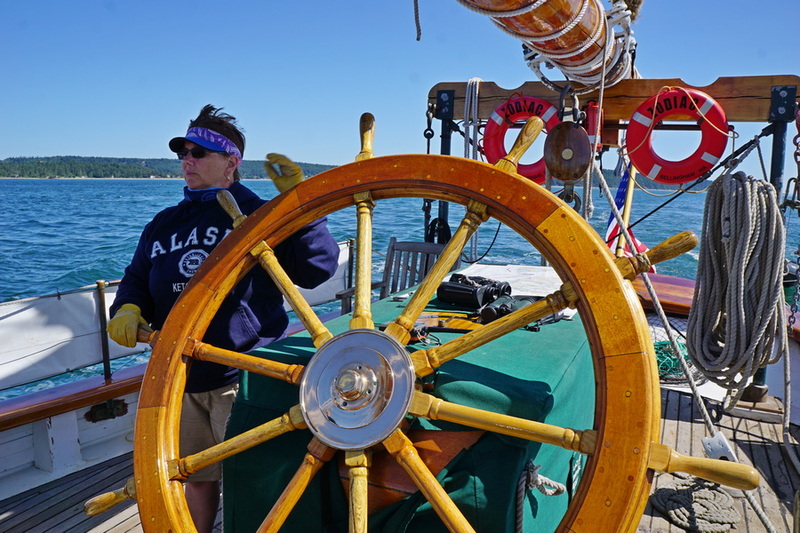 Jill had another turn at helm as Zodiac motored towards our destination. 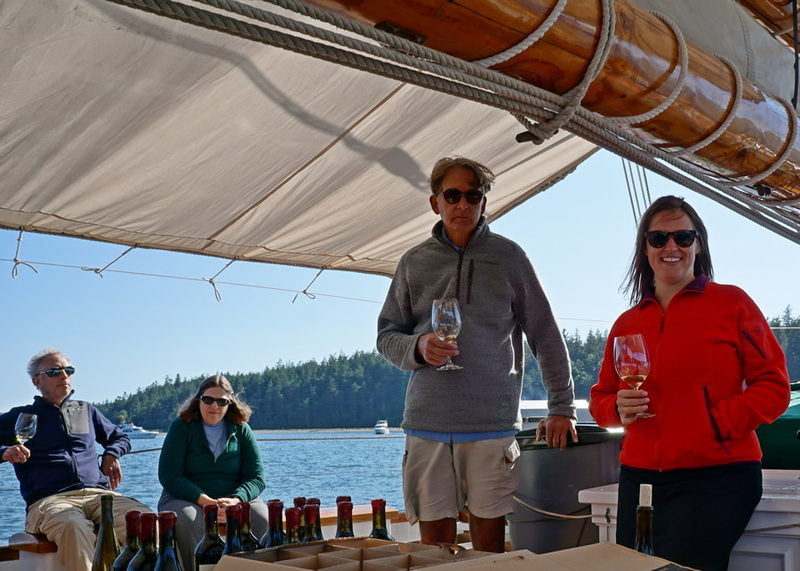 The early completion of our sailing day meant the wine started flowing sooner, with Rob Newsom and Audre giving a full tasting session of the four wines they had brought from Boudreaux Cellars – Riesling, Merlot, Syrah and Cabernet Sauvignon. Our favorites were definitely the Riesling and Cabernet Sauvignon. Rob shucked more fresh oysters to pair with the Riesling. 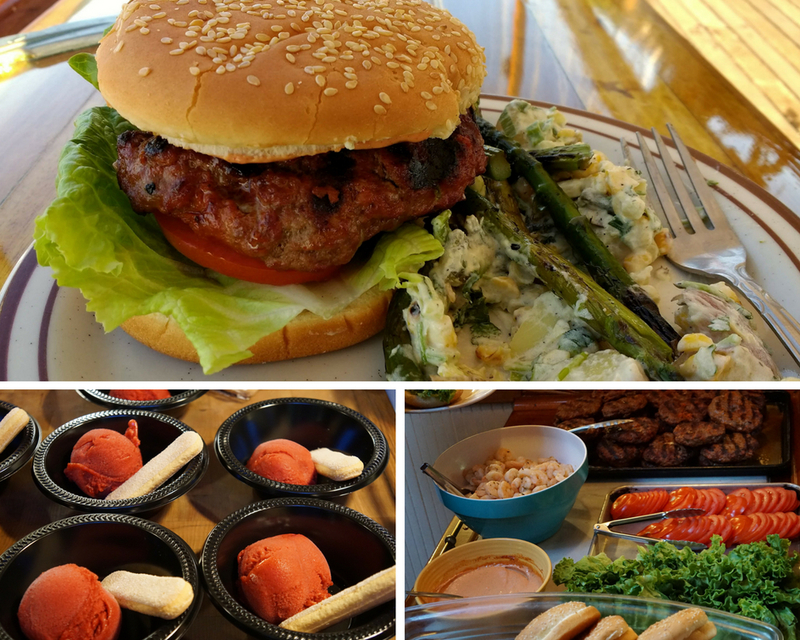 Shortly, after the tasting ended it was time for dinner of BBQ chorizo beef burgers with shrimp and paprika mayo, poblano potato salad and grilled asparagus. A delightful raspberry rosé sorbet with a Lady Finger was a nice light conclusion to the meal. 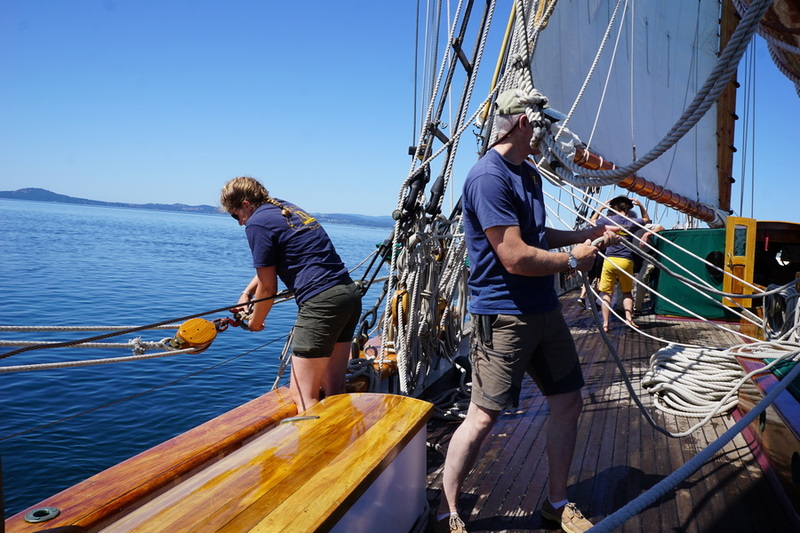 Christian, one of the volunteer crew, brought in the catch from the crab pots to clean and boil on the deck. Anyone interested in learning this art of Dungeness and Rock crab cleaning was invited to lend a hand. What a delicious snack to devour as the sun was starting to set! Tonight was cooler and windy on deck so we decided to forgo sleeping under the stars and crawled into our bunks before the generator turned off.